In addition to age, teeth can become discoloured with the use of tobacco, red wine, coffee, tea, and other foods and drinks with strong colors. Teeth are not naturally bleach white but Canadians seem to want a brighter and whiter smile. Before deciding on what category, listed below, best suits your teeth, it is always recommended that you consult with your dentist first. Usually in the form of toothpastes or chewing gum, manufactured from many different companies, these products use abrasive ingredients to remove surface stain from the teeth. The effectiveness of these products are limited to superficial or surface stains and should NOT be used as a substitute for regular cleanings by your dental professional. These products are usually peroxide based and are able to alter the color of the tooth itself. Beware, not all tooth discolorations respond to tooth-bleaching treatments. Deep or intrinsic stains, some caused by certain medications taken as a child, will have limited success with tooth bleaching. In addition, white fillings, porcelain crowns and bridges will not bleach or whiten, only natural teeth do. This procedure requires putting special bleach on your stained teeth and using a light to activate the bleach. Teeth are isolated with a rubber dam to protect your gums from the bleach. According to the Canadian Dental Association, this in office, chair side method has undergone little scientific assessment. A custom made dental tray, made by your dentist, is filled with special bleach and worn for a certain amount of time each day. This can be done at home on your own time. The trays can be worn anywhere from 30 minutes during the day to 6 hours at night. The time depends on the bleaching agent concentration you and your dentist decide to use. Trays can be used again later for any touch ups, provided no major dental work has been done in the meantime. Two common side effects from bleaching include tooth sensitivity and irritation of the gums. This usually subsides after the completion of your bleaching. Remember, bleaching is not permanent and many individuals end up undergoing periodic bleaching treatments to keep their new white smile. Again, tooth bleaching should be discussed with your dentist so he or she can answer any of your questions before you decide which treatment best suits your needs. 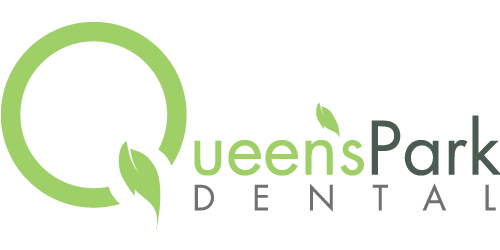 If you have any questions feel free to call or email us at Queen’s Park Dental.